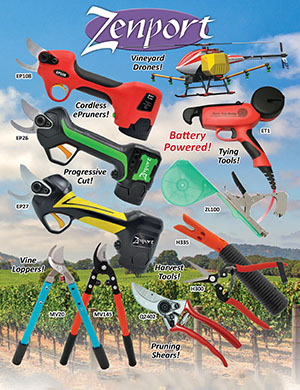 Smaller size high-tech design pruner for pruning and training of vines and fruit trees. The handles, made of fiberglass-reinforced material, are lighter than aluminum yet more resistant than steel and fit particularly well in the hand. One-hand-locking mechanism with steel button. The model for those with smaller hands. A top-of-the-line professional level tool from Zenport.